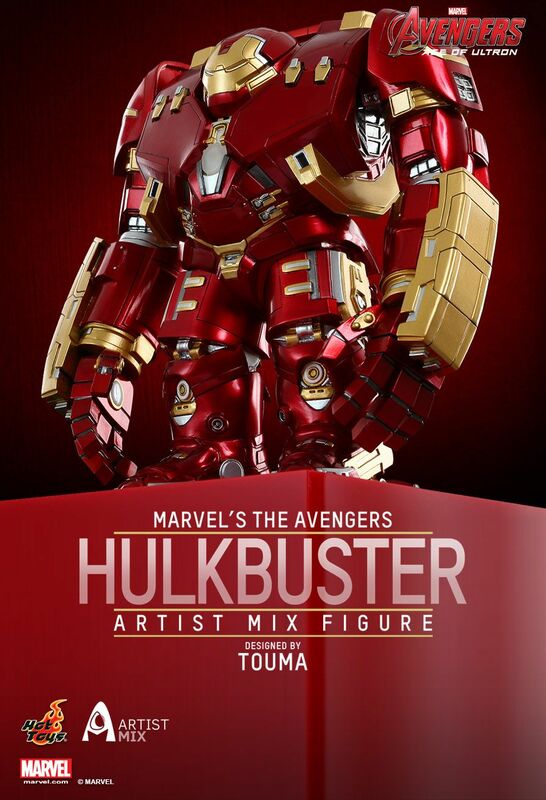 Hot Toys is expanding its product line yet again to bring more diversity to fans, and today we are very excited to present the new Artist Mix Collection series! As the name suggests, Hot Toys will collaborate with different artists and designers from various spectrums to re-imagine movie characters in a special art form with unique style. 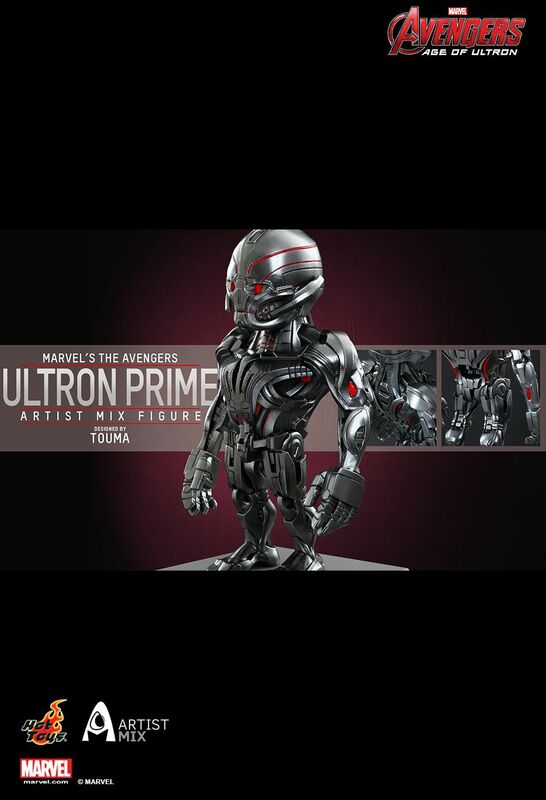 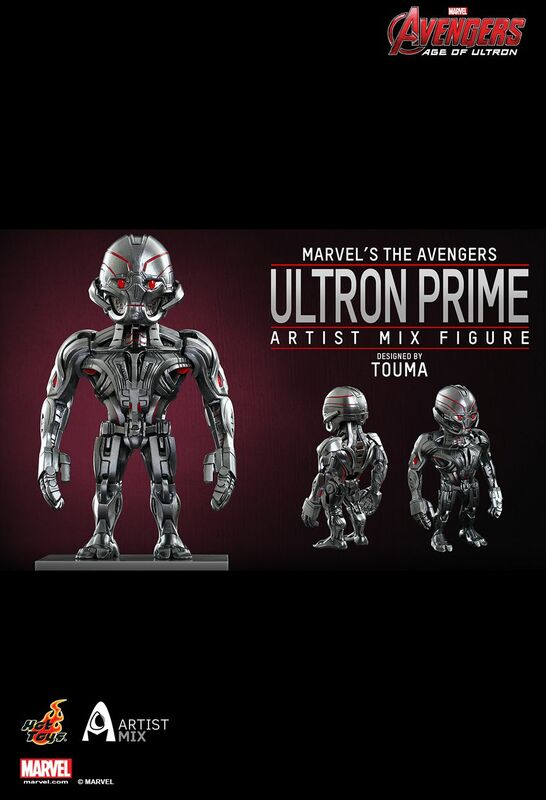 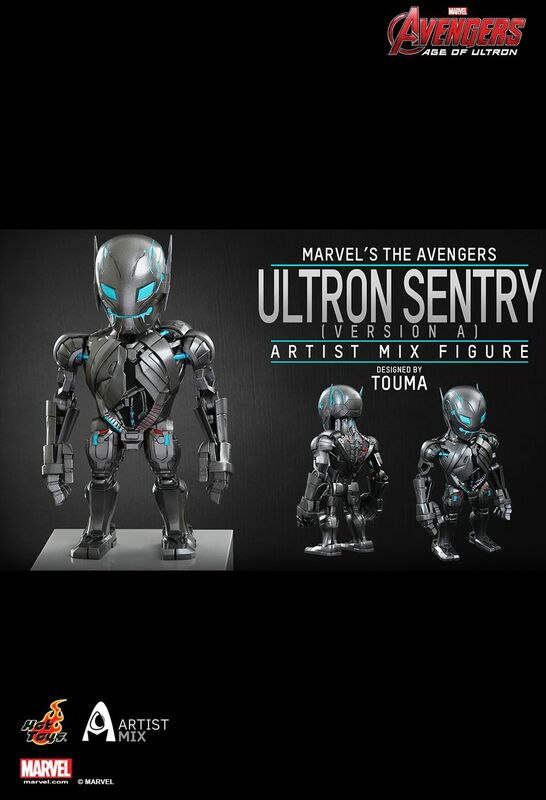 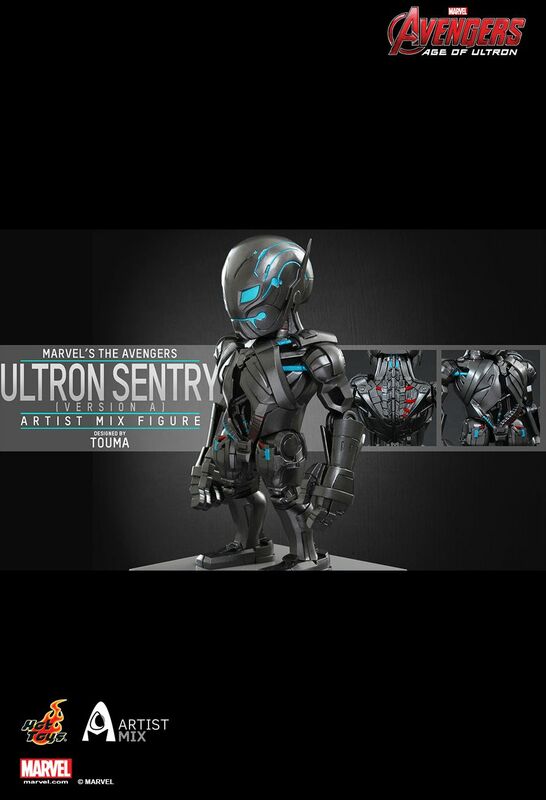 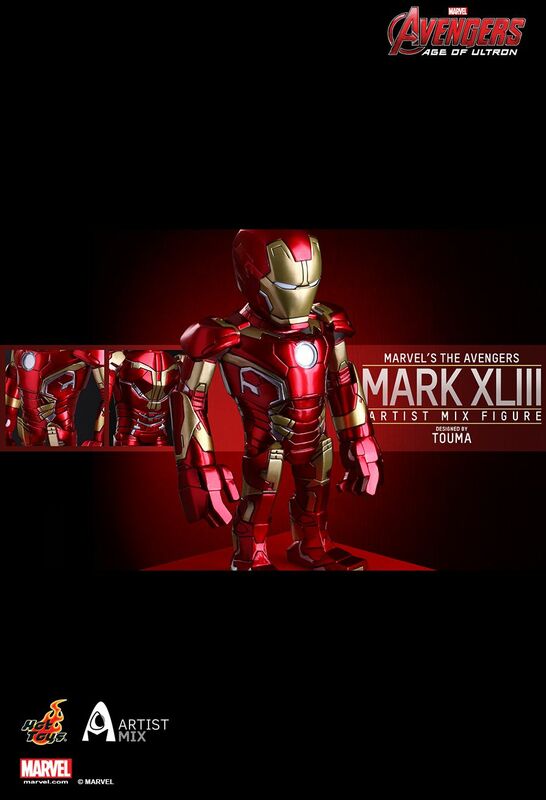 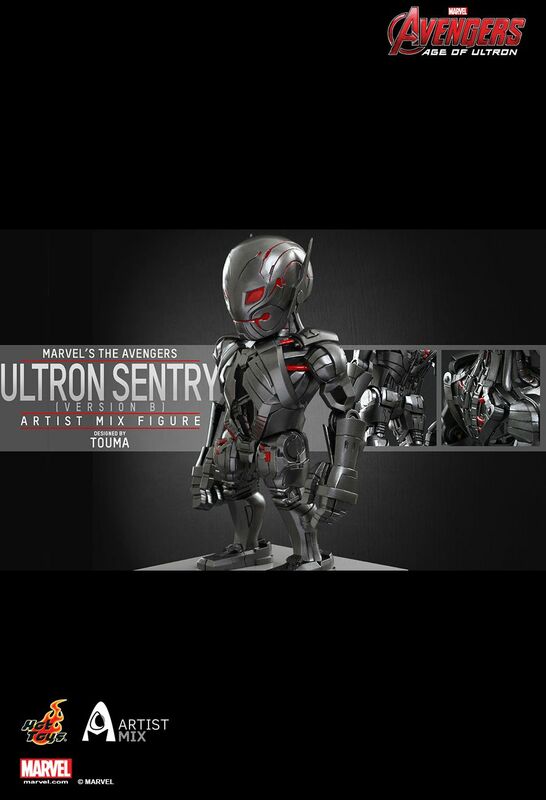 To kick-off the Artist Mix Collection, Hot Toys is joining hands with famous Japanese toy artist Touma* and introducing a number of Artist Mix Figures based on one of the biggest movies of 2015 - Marvel’s Avengers: Age of Ultron! 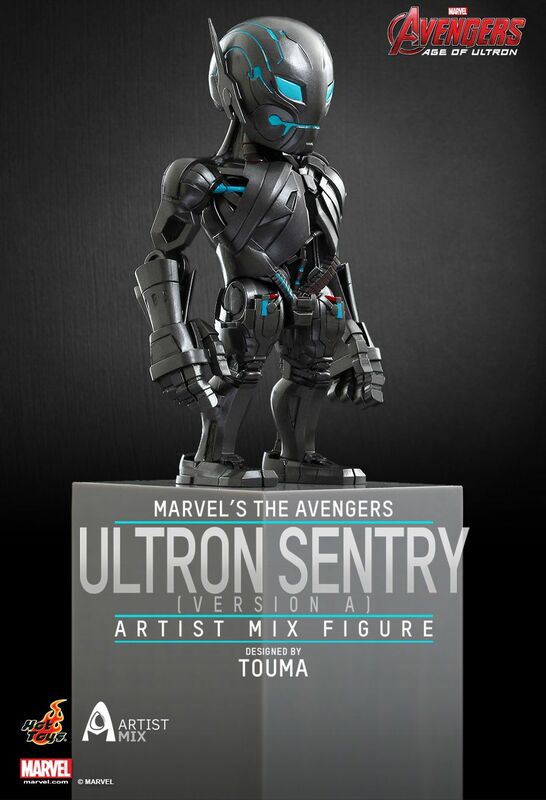 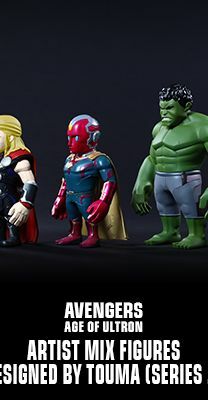 This first series will include Iron Man Mark XLIII, Captain America, Hulkbuster, Ultron Prime, and two versions of Ultron Sentry! 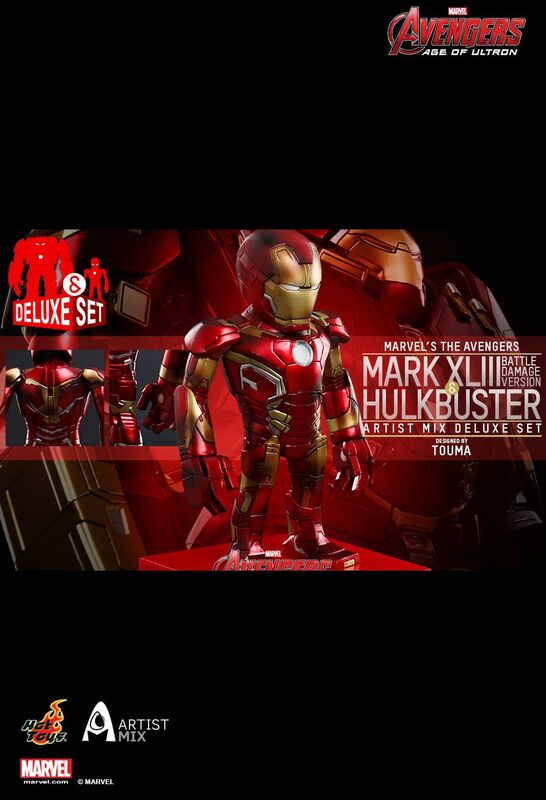 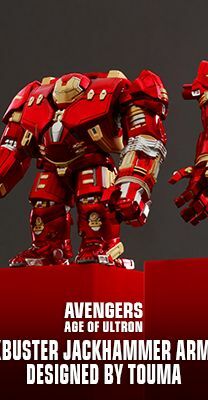 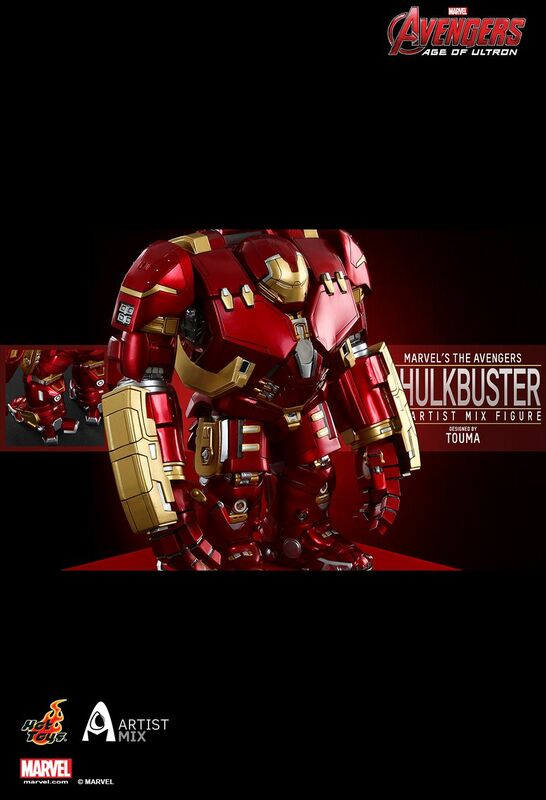 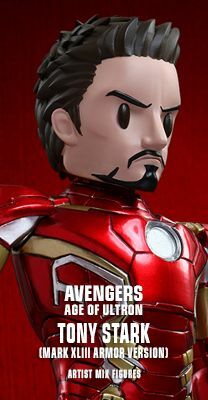 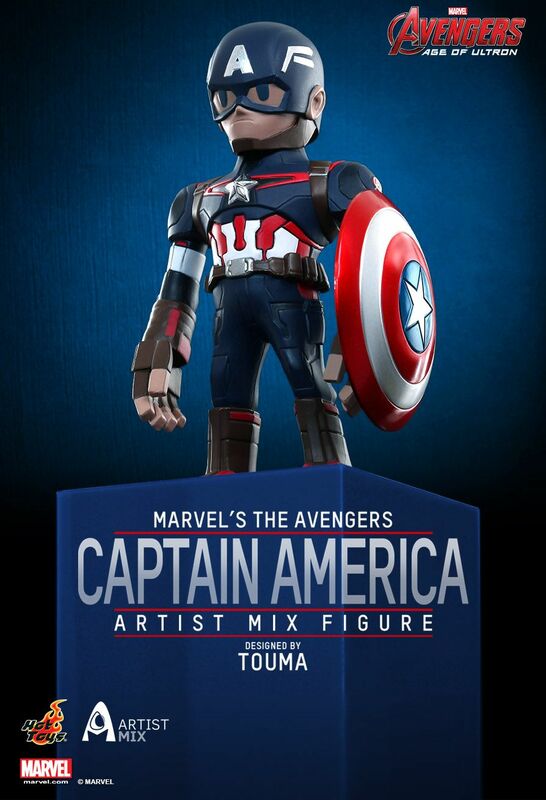 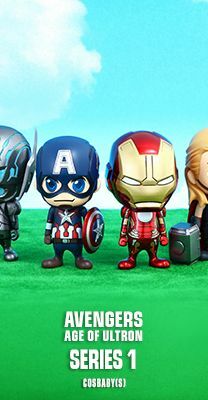 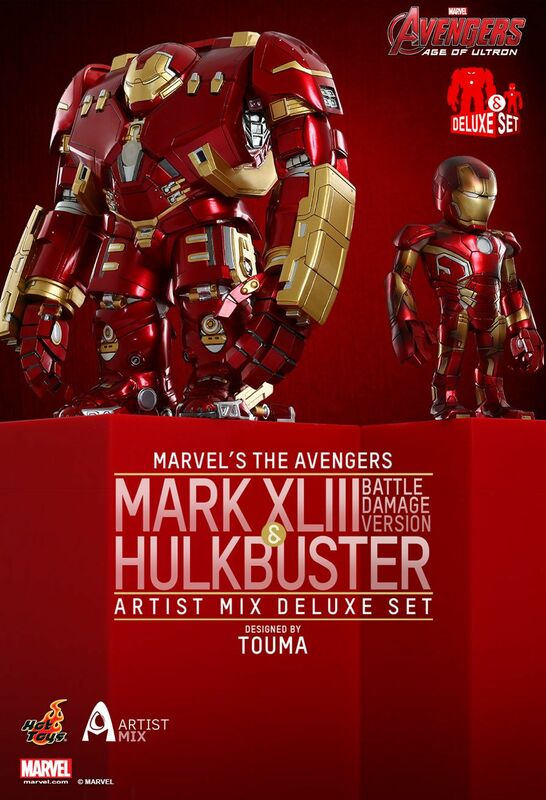 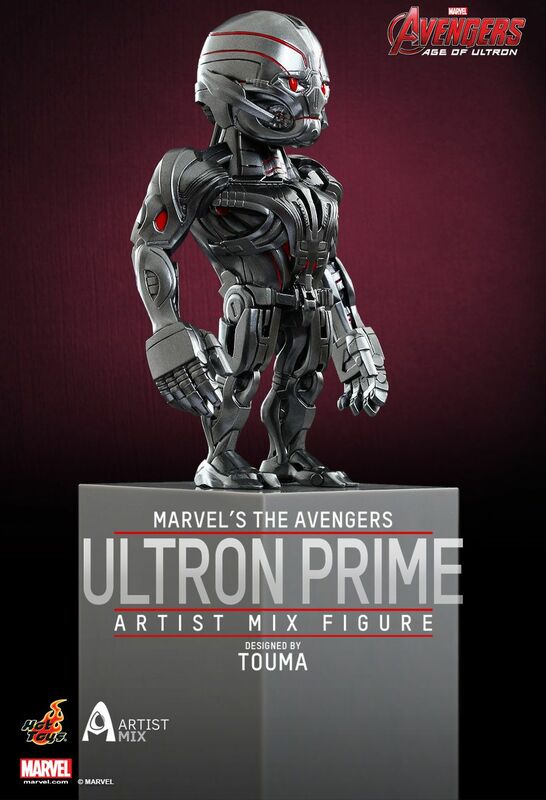 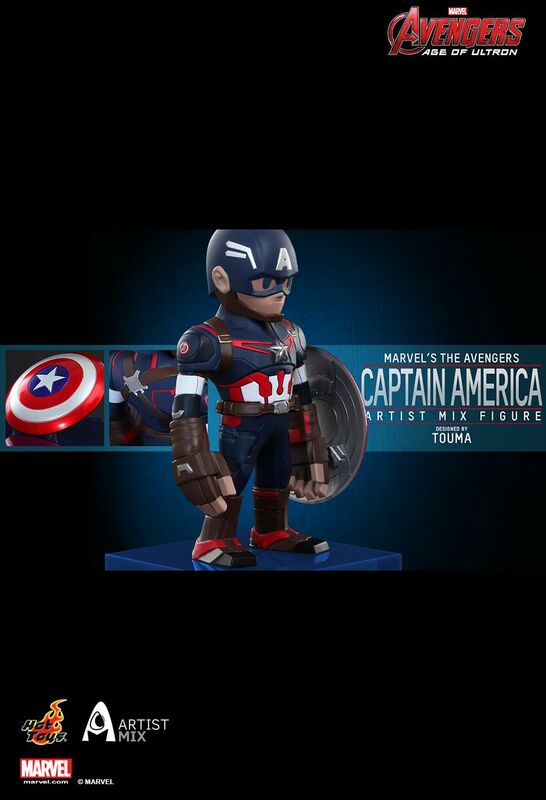 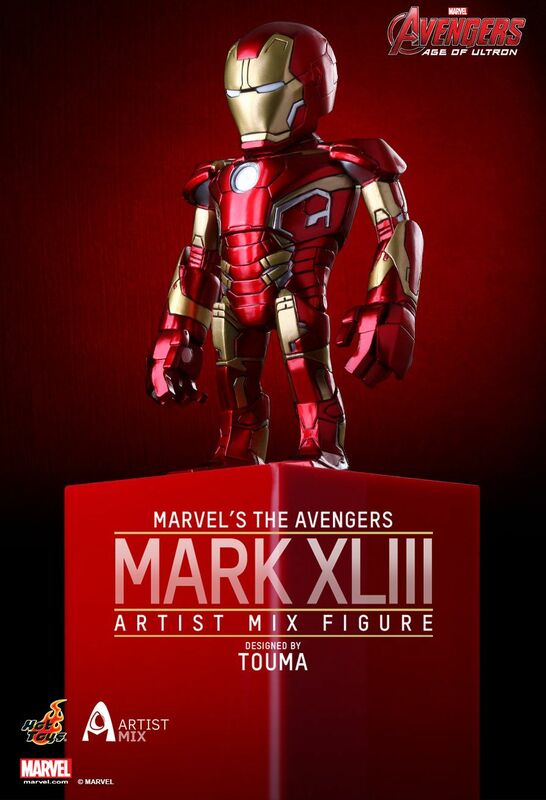 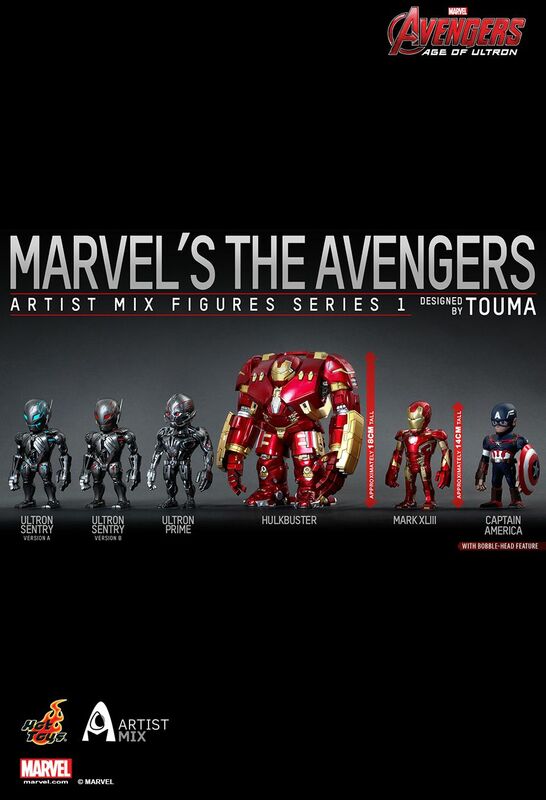 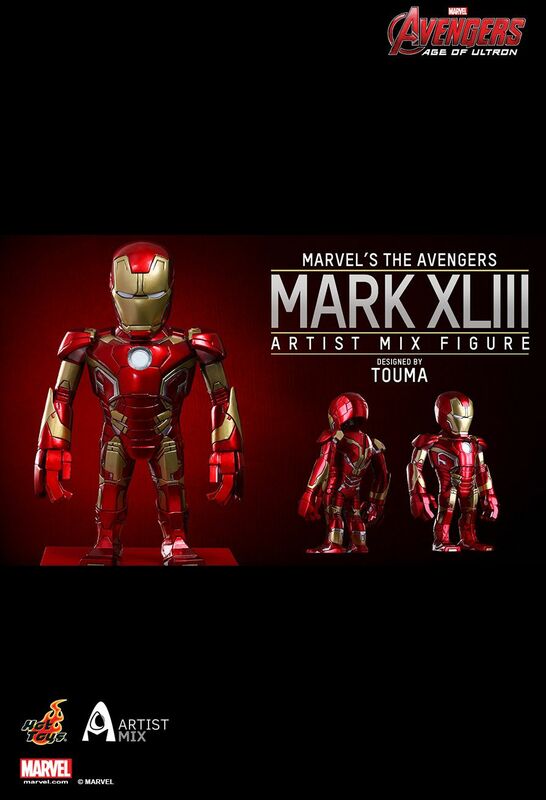 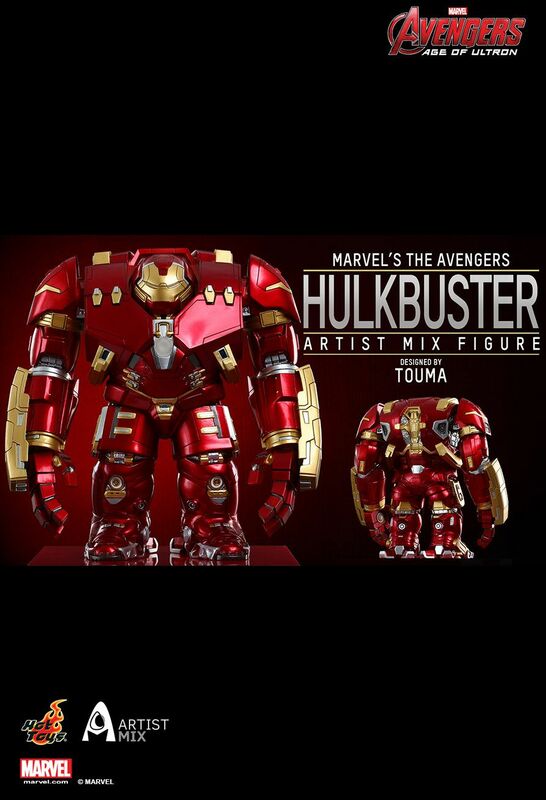 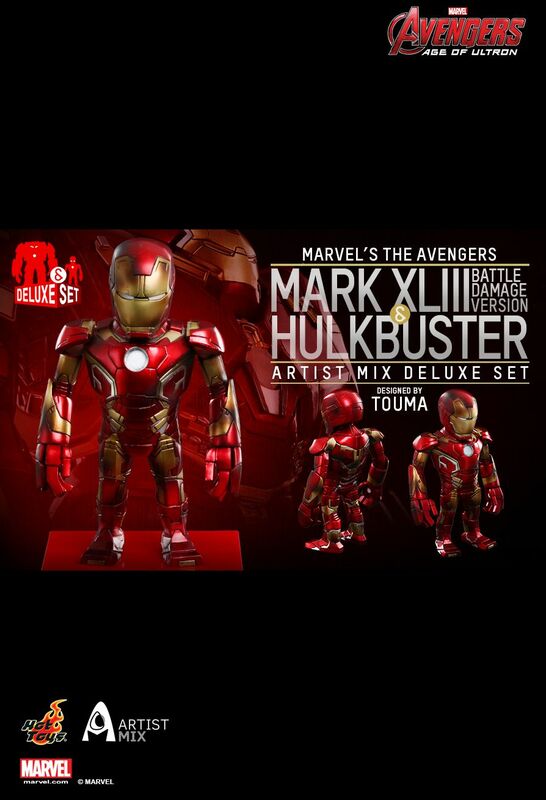 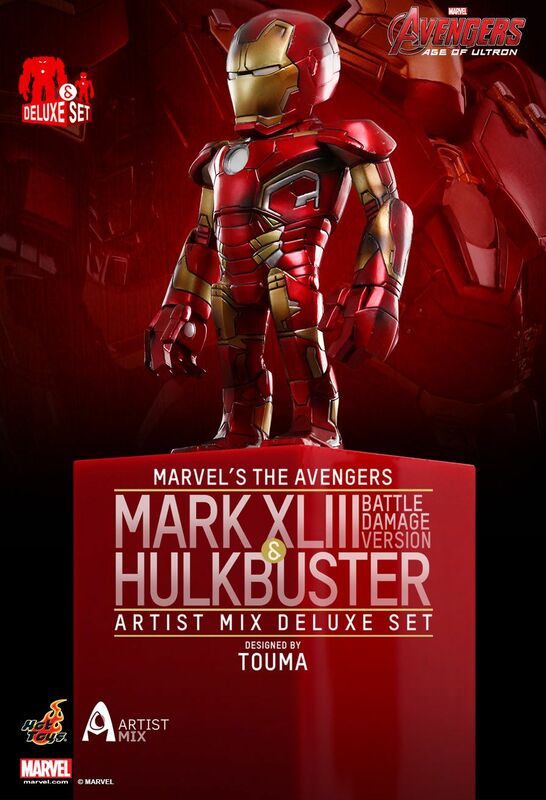 Each Artist Mix Figure has a bobble-head and stands approximately 14cm tall (Hulkbuster stands approximately 20cm tall) and perfectly combines the movie characters’ designs with Touma’s distinctive art style! 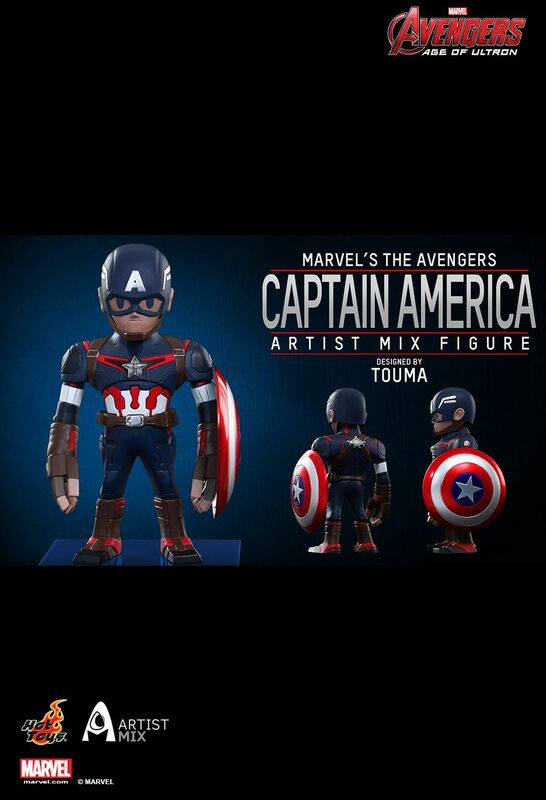 Special FeaturesEach Artist Mix Figure has a bobble-head and perfectly combines the movie characters’ designs with Touma’s distinctive art style!